Ventipop Blog Music, Art & Design :: The Tinsel & Lights of Everyday Life Become a Patron! French artist Gilbert Legrand calls his work "happy accidents". As a child, he saw faces in things like clouds, trees and shells on the beach. Today, he sees art in even the most mundane objects. What would the world look like if everyone saw the world the way Mr. Legrand sees it? Share and support artist Gilbert Legrand here. In the spirit of Christmas, "Put your phone down." 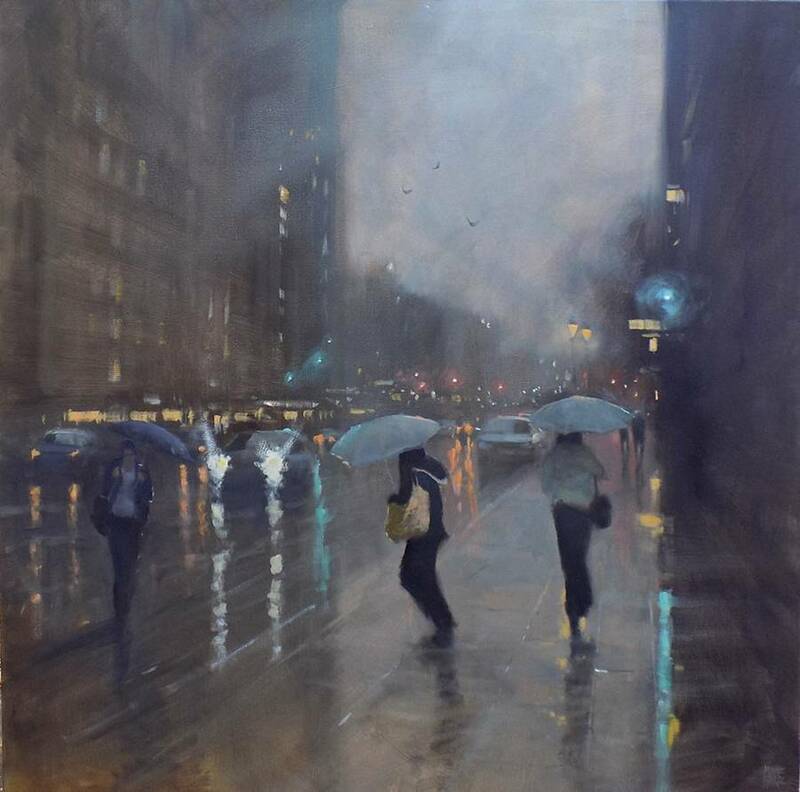 If all of our rainy days were as gorgeous as Australian artist Mike Barr paints them, life would be even better. Support Mike Barr and see more of his rainy cityscapes here. Japanese artist Hikaru Cho mesmerizes with her works which transform the human form into the surreal and unusual. See her complete portfolio here. ...The Last Drop :: "Bird"